"Wholesale" customers must provide verification of business to purchase from us. Please provide us with your business license and/or tax certificate. To qualify as a wholesale buyer a minimum order of $200.00 is required for each order. We offer discounts based on the amount purchased. Wholesale pricing will be given when registered. Net cash, Visa, MasterCard, Discover and American Express are accepted with no surcharge. Checks are accepted upon approval from our Accounts Receivable Department. Checks must be written in currency of the United States of America ($US Dollars) and written for the amount due-no cash back and no check cashing. 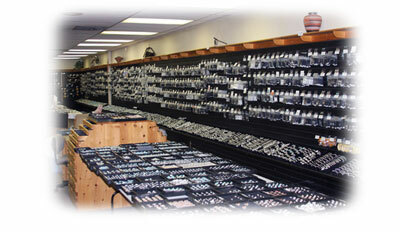 Thunderbird Jewelry Co. does not except checks, unless pre-approved. Checks presented to Thunderbird Jewelry that are returned unpaid will incur a fee of $35.00. Once returned unpaid, we will no longer accept checks from the customer. Unclaimed packages will be subject to a 10% restocking fee and return shipping charges. No further shipments will be made until all fees are paid. If what you purchased didn’t work for you, Thunderbird Jewelry will gladly refund or exchange any merchandise within 15 days of purchase. If the invoice date is past 15 days, a 10% restocking fee will be added. If return puts you under the $200 minimum, only an instore credit will be given. Please include a copy of the invoice when returning merchandise.